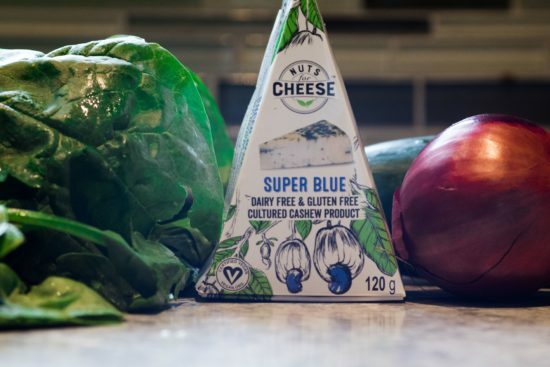 Vegan cheeses are my saving grace, and I am absolutely in love with them! They are so versatile and go with everything. 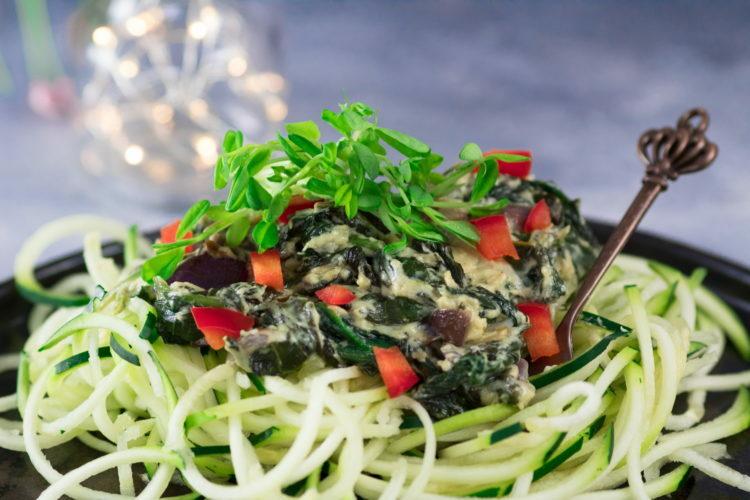 Blue cheese and spinach is a perfect combination, and when you serve it with zoodles, it’s so good! This is a simple recipe with very few ingredients. Don’t you just love recipes that are full of flavor, but are easy to prepare? For this I used Nuts for Cheese Super Blue, and you can get yours HERE. 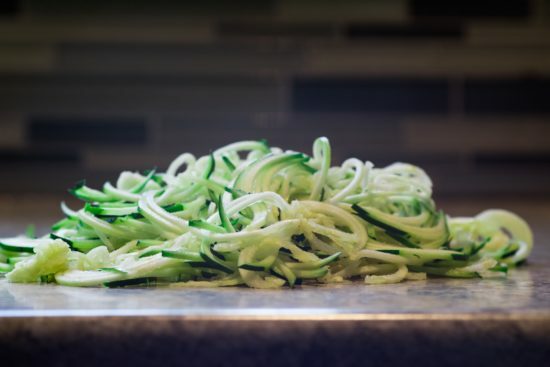 You can spiralize the zucchini into your preferred thickness and let it sit while preparing the sauce. 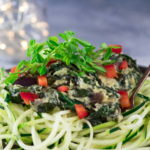 I serve mine raw for this dish, as I find the contrast of the crunch of the raw noodles balances well with the creaminess of the sauce. After sauteing the onions, you wilt the spinach and then add the cheese. This recipe is really that simple, no joke. Top the zoodles with the sauce and serve immediately. You could also add cashews or slivered almonds to it. Enjoy! Spiralize a zucchini and set aside. Saute the onion in the oil until it's slightly brown. 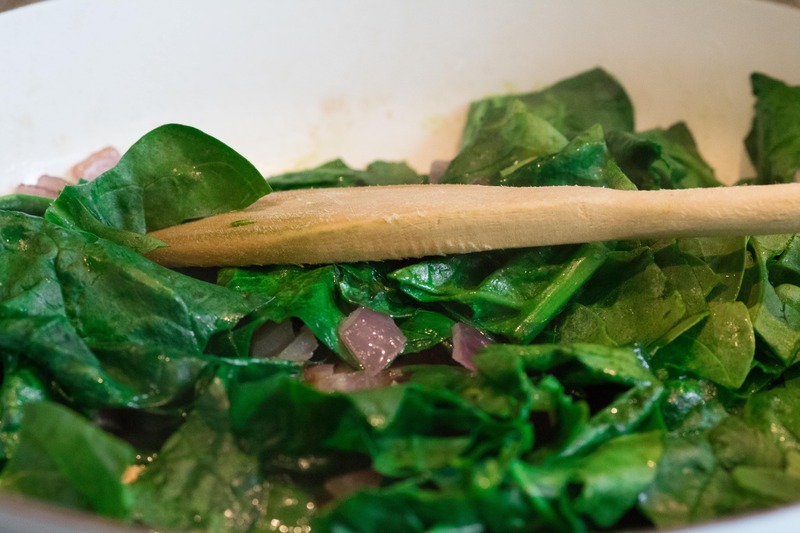 Add the spinach and cover for 1 minute. Stir until it is wilted completely. Add the blue cheese and stir until it's melted. Add enough milk to make it the desired consistency. 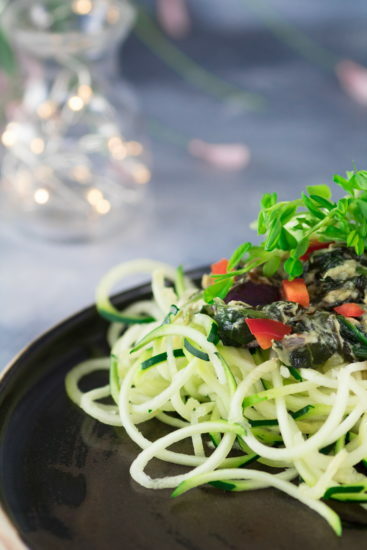 Top the zoodles with the sauce and chopped bell peppers; serve immediately.